At Crippen Woodworks, not only have we spent the better part of the last two decades crafting countless custom carpentry and woodworking installations for homeowners across the Greater Metro Atlanta area, but we’ve also dedicated ourselves to crafting an impressive reputation for excellence – not only in craftsmanship, but in service, as well. With a team of master craftsmen with extensive experience in custom carpentry, Crippen Woodworks has the range and expertise to design and build made-to-order structures that are both innovative and practical. Whether it’s the distinguished look of fine, built-in custom cabinetry and shelving for a kitchen, bath, home office, entertainment center, or closet, our one-of-a-kind installations add form and function to virtually any room of the house. In addition, we also specialize in the detailed work of trim carpentry, moldings, and millwork installation that adds warmth and luxury to your home, setting it apart from the rest. The only limit is your imagination, given the countless ways to incorporate our designs into your home’s interior plan. But we don’t stop there. Crippen Woodworks also incorporates that same level of indoor detail and craftsmanship to the areas outside your home, as well. If you’re looking to extend and beautify your living spaces beyond your home’s interior, our team also specializes in designing and building high-end decks, porches, screened rooms, pergolas, and other such wooden hardscape structures that help to create a luxurious outdoor landscape that you’ll enjoy for many years to come. Design and Builders of fine custom furniture. Specializing in one of a kind custom built in bookshelves, entertainment centers, bars, desk, breakfast nook benches and bay window seats. Also creators of stand alone pieces including lamps, kitchen island (complete with plumbing and electrical) night stands, coffee tables, desk and much more. We are a custom cabinet shop that is out to provide the best in quality cabinetry and quality service to all our customers. 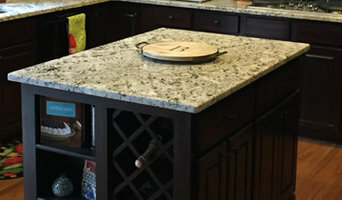 Southern Design & Remodeling (formerly Kitchen Design Korner) opened in 2012 with a vision to pull together a passionate team of designers to create spaces that enriches lives. We pride oursleves on being able to capture the essence of a person/family and turn it into cherished kitchens, bathrooms, or any other space in your home. “Design is not just putting a cabinet in place. We think about functionality and how to extend the family room into your kitchen. We want your space to be beautiful, to serve your need and to echo your vision and dreams. Our goal is to create a reflection of you and your family’s individuality.“ Located in the heart of East Cobb at Merchants Walk, SDR was created to provide a one-stop turnkey approach to your remodel. From the moment you walk into our showroom, you will feel the positive energy from our award winning staff as they apply their experience and passion to your remodel project. SDR is also very proud of the high quality lines offered at affordable prices and helps you walk you through the many designs and options featured in our showroom. Along with accommodating your kitchen remodel needs, we also offer our services and expertise when remodeling other spaces in your home. With us, you can work with a general contractor you already are comfortable with or we can provide you with one through our trusted network. Founded in 2004, the philosophy at Designs by BSB continues to offer clientele unsurpassed excellence in design, consultation, and quality product. We value a deeply rooted relationship with each of our clients and partners so that our advocacy approach with turnkey projects deliver a space that you will love where you live. Every designed living space is created with the most intricate attention to detail to meet the unique lifestyle and wishes of our clientele. Furthermore, we have an unrivaled reputation that illustrates the appreciation for our processes from initial concept to the final phases of construction completion. Here at Designs by BSB we are blessed to have a long-term network of artisans, reputable vendors, and craftsmen. Our clients receive a seamless collaboration with a team of professionals who will deliver an elegant custom living space with quality workmanship at competitive pricing. Owner and Principal Designer, Becky Sue Becker is a Certified Master Kitchen & Bath Designer (CMKBD), the highest level of certification offered in the industry. She has also been certified by the National Home Builders Association as a Certified Aging-In-Place Specialist (CAPS). Becky Sue is a pioneering entrepreneur with over 25 years creating award-winning kitchens, baths, and living spaces. By studying client’s lifestyle, habits, and hobbies, entertaining styles, and storage needs, homeowners are assured to be educated on the most innovative products and creative design solutions that are available to suit their unique needs. The foundation of Becky Sue’s career has rich roots as an apprentice under her father, a Licensed Contractor and Kitchen/Bath Showroom owner. A disciple of continuing education, Becky Sue regularly dedicates time to attend both nationally and locally held education courses, product training seminars and trade shows. Becky Sue’s longevity and comprehensive experience in the industry, coupled with client loyalty and respect from trade partners & colleagues makes her one of the most sought-after designers in the region. 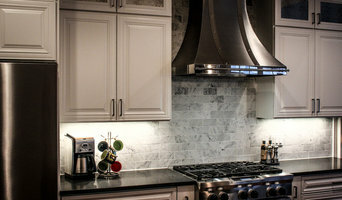 Creative Cabinets is a design company that focuses on kitchens and baths. We use our industry-leading expertise and craftsmanship to create beautiful and functional rooms for homeowners to take pride in and enjoy every day. We know that investing in a new kitchen or Bathroom is a big decision and it’s one we want you to feel as comfortable and confident in as we do. From the planning stages, right through to the installation and aftercare, we’ll make sure you are completely happy with our service, every step of the way. Costea Ababyi has worked in the cabinet industry for 13 years. Costea started out sweeping the floors of a cabinetry shop. Before long, he was designing cabinets and running the show. Costea knows cabinets inside and out. He’s also constantly seeking innovation in cabinet design. Costea, his wife, and five adorable kids are Christians who love hiking, camping, and most anything else that involves being outside. Luke Tilton is a University of Georgia graduate with 15 years of experience in the construction industry. These days, when he’s not chasing around his four amazing kids, Luke's working behind the scenes with designer Costea Ababyi to establish Costili Cabinetry as an innovator in cabinet design. With over 17 years of experience in the carpentry trade, HDEZ GABINETS LLC is a family owned business that provides workmanship for the domestic and commercial markets. 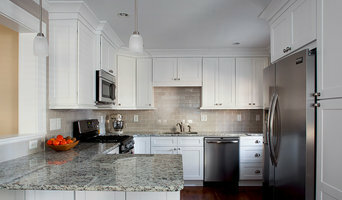 Whether you are in need of a new custom cabinet, complete bathroom/kitchen remodel, or any other skilled woodwork? Look no further! Divine Designs is a personal design business owned and operated by Denise DeVigne. I have been in business since 2003. I work closely with several reputable contractors for renovations locally in Georgia and I also work with DeVigne Developing on several high end projects in the Breckenridge and Denver area. Our mission is to make your vision a reality while staying within your budget. We will work together to design your space and make your dreams come true. We will design your space while sourcing unique products and working with existing pieces to create distinctive interiors. If it is new construction, a complete renovation, addition or remodel…...we can handle your job. We have managed large, small, contemporary, and traditional spaces. The design scheme will include furnishings, fabrics, window treatments, paint, rugs, flooring, artwork, lighting and accessories. Our experience and enthusiasm for design motivates us to create beautiful spaces that you will enjoy for a lifetime. Bespoke custom-cabinetry, custom furniture, custom lighting and interiors.